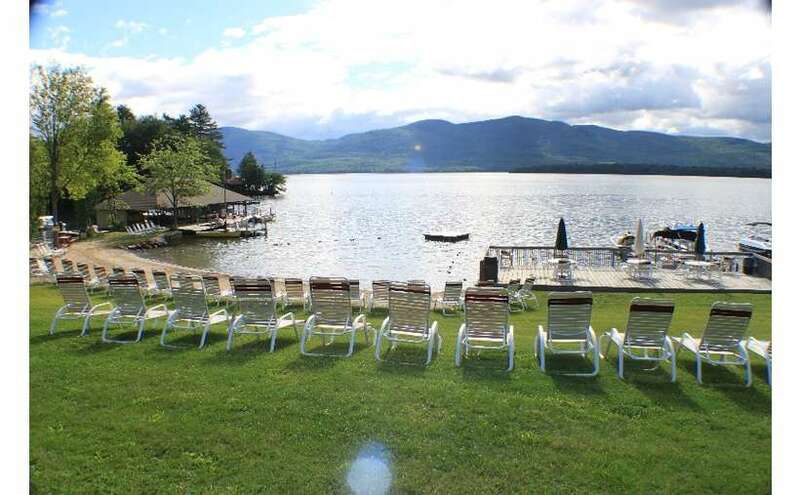 Capri Village Resort offers one of the largest private lakefronts on Lake George to fully enjoy a truly Adirondack vacation experience. 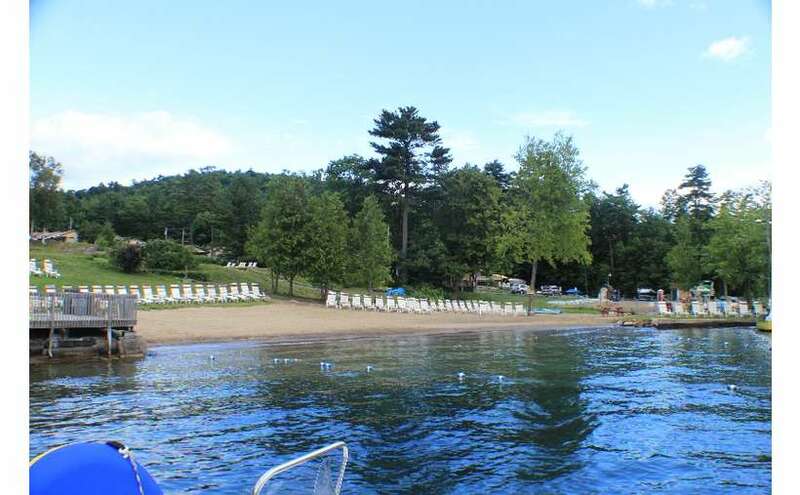 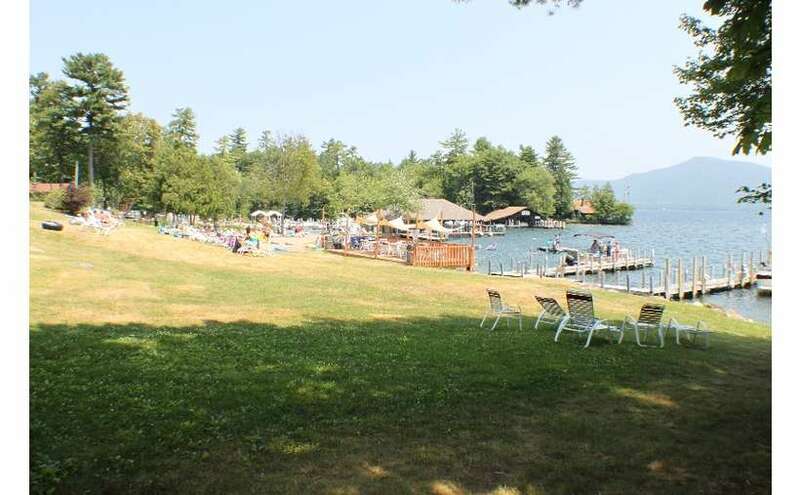 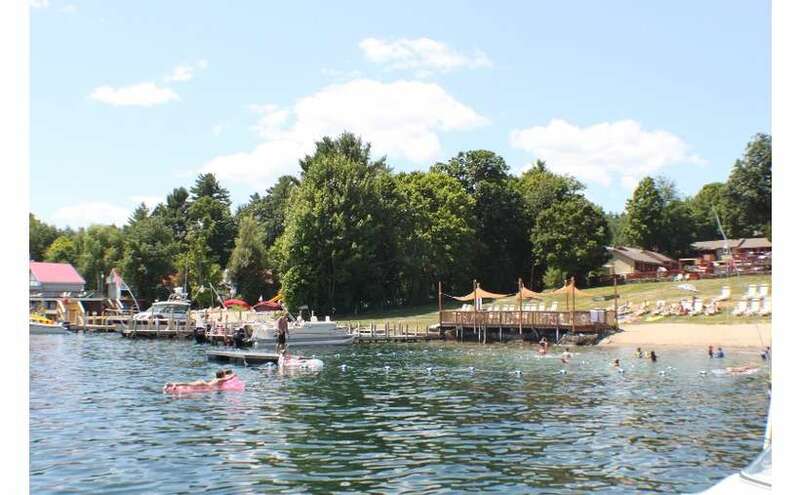 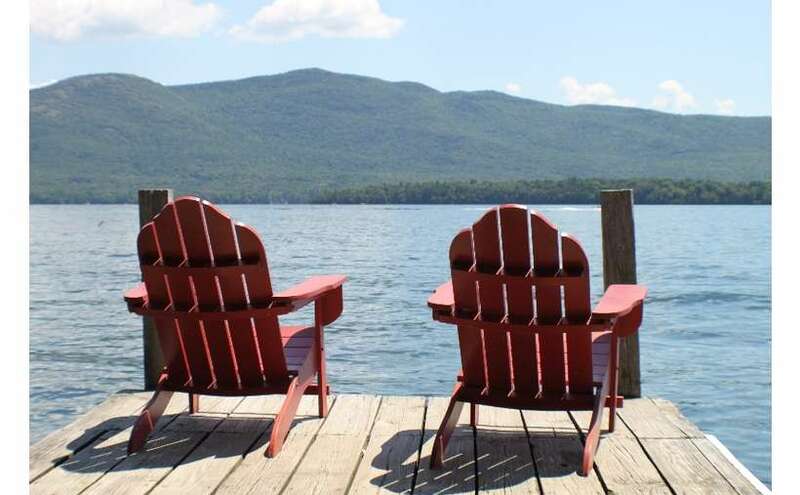 Boasting over 400 feet of park-like lakefront, families can enjoy the crystal clear waters of Lake George, by swimming off our large sandy beach, paddling its waters in our complimentary kayaks, paddleboat and rowboat, or fishing or boating from our private docks. 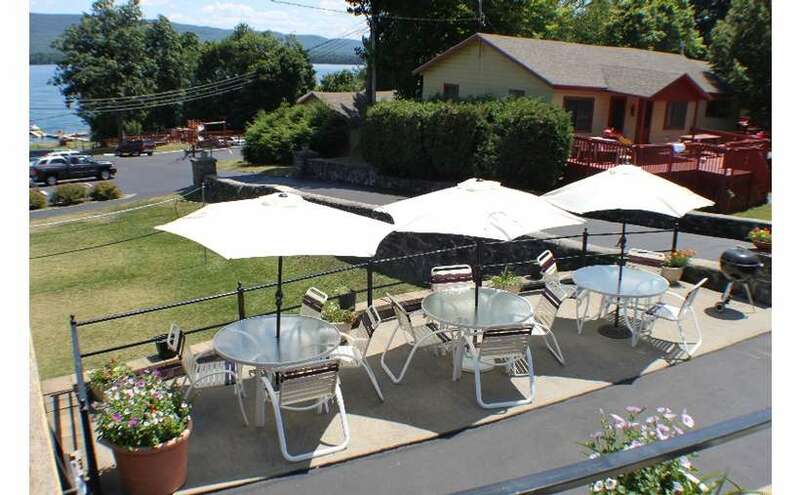 Or enjoy the breathtaking vistas while relaxing on our lakeside deck. 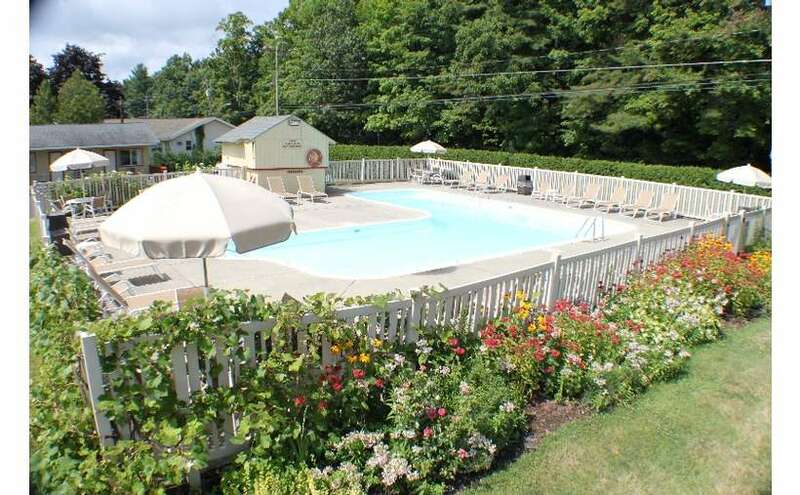 Situated on approximately six acres of lakeside property, Capri Village is the perfect setting for fun filled family vacations with its large heated pool, playgrounds, lawn games including volleyball and horseshoes, and picnic areas with barbecue grills. 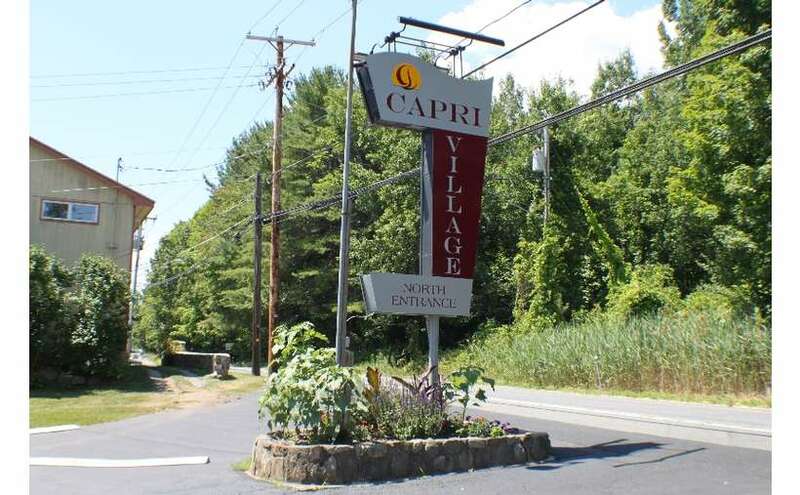 Capri Village has various types of accommodations to cater to any size family: single king bed motels, one and two room motels with two beds, one and two room efficiency units, and one and two bedroom housekeeping units. 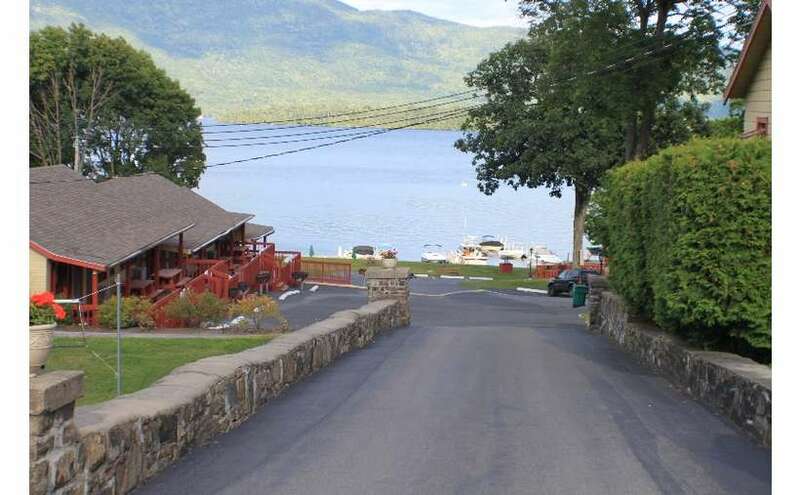 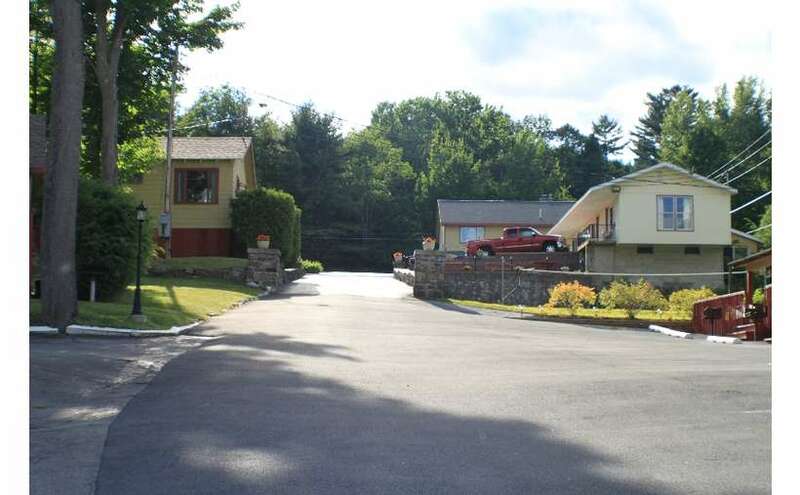 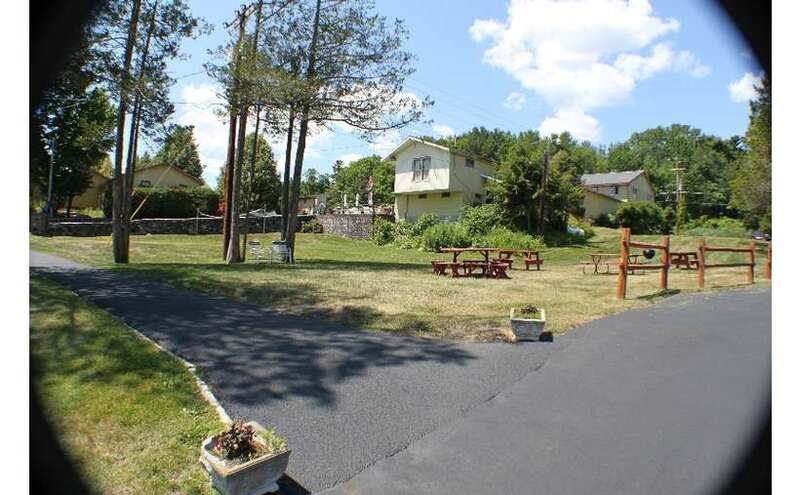 Capri Village is conveniently located on the trolley route midway between Lake George Village and the Village of Bolton Landing. 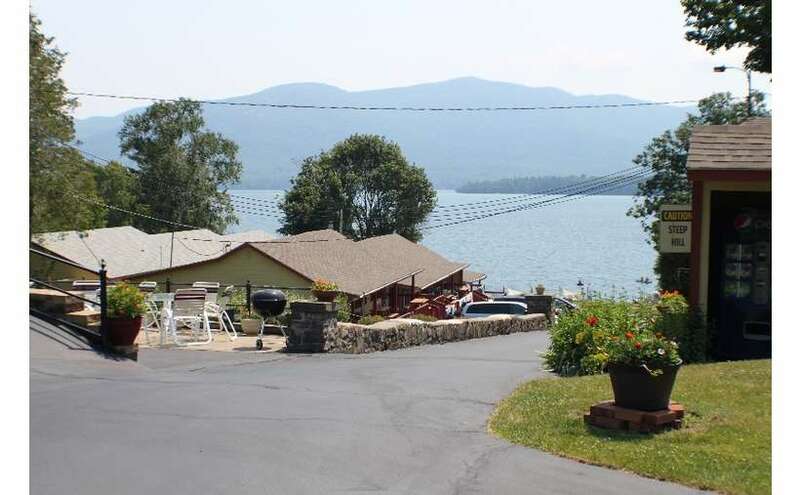 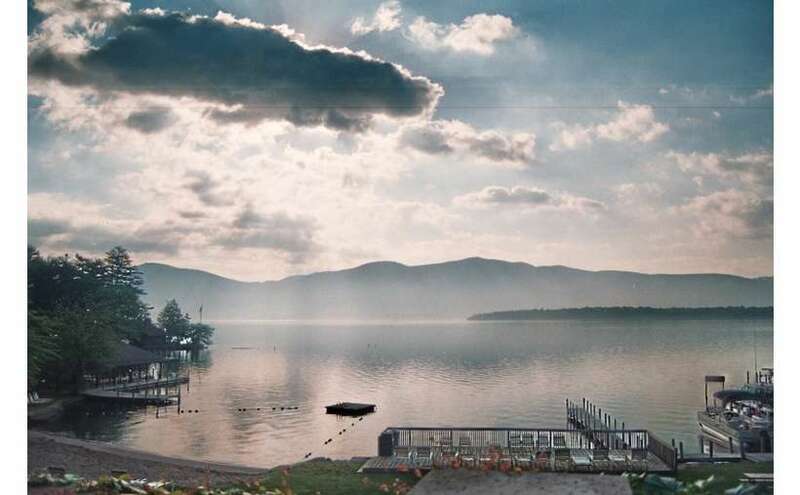 Capri Village is an outstanding place to stay on Lake George. 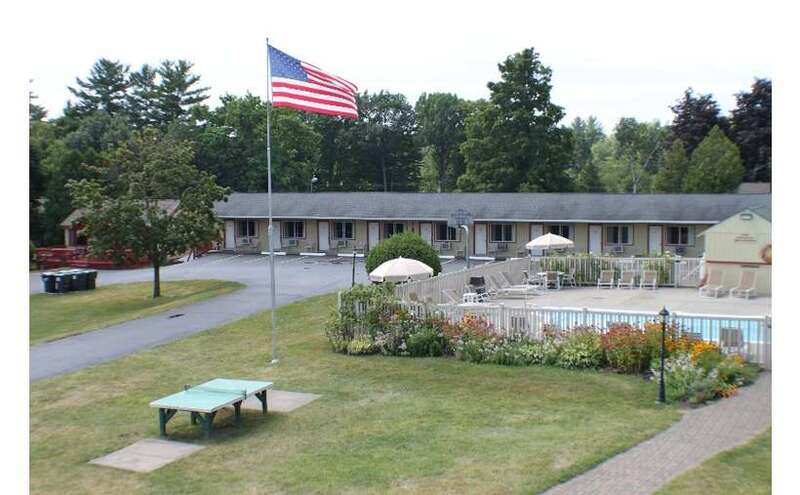 The grounds and facilities are meticulously kept. 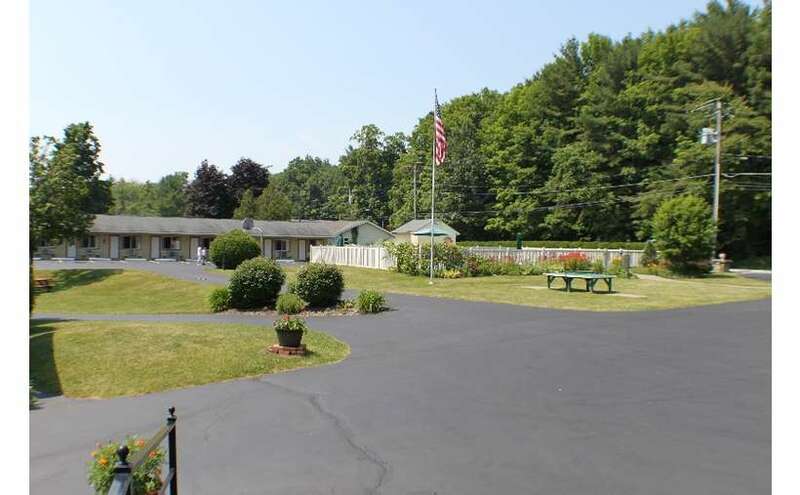 Linda and her staff will do whatever's necessary to ensure you have an enjoyable stay, one which you will want to come back again and again.